The 2,000+HP supercar is a beast! 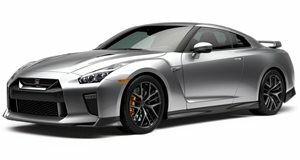 Everything is bigger in Texas and, as you’ll soon find out with this 2,000 plus hp Nissan GT-R, that also holds true with cars. Tony Palo is the owner of T1 Race Development and the GT-R that came out of his shop holds records for being the quickest Godzilla in the US. There aren’t a lot of 2,000 hp GT-Rs in the world and thanks to this video from Japan’s Motorhead magazine, enthusiasts can get a close up look at the monster. When put on the dyno, the GT-R put out 2,276 hp, which makes it the most powerful GT-R in the US. One would think that a GT-R this powerful wouldn’t be street legal, but Palo takes the supercar through a drive through after setting a new record in the quarter mile. Yeah, this car is insane.